Purple meets green. 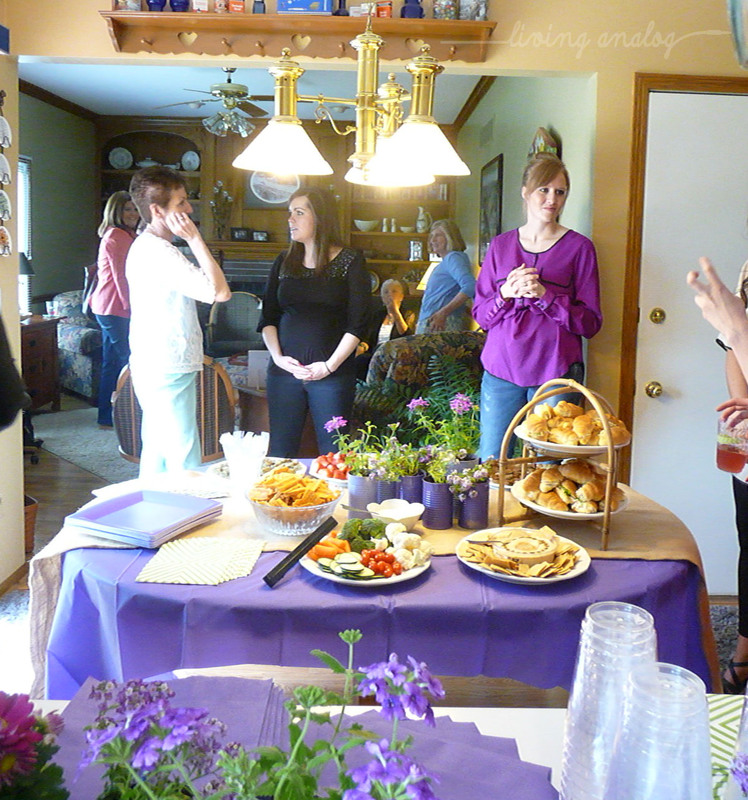 A bridal shower. 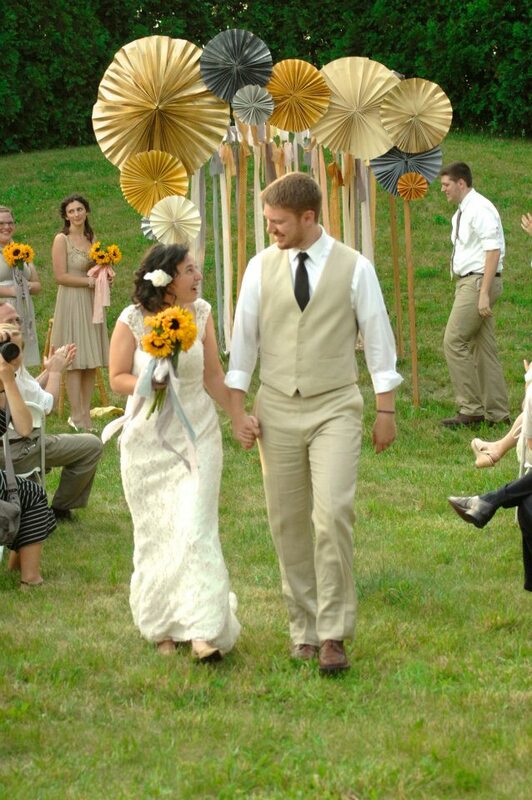 In case I haven’t mentioned it here a few (many) times, my sister is getting married in about two and a half weeks. That’s crazy. 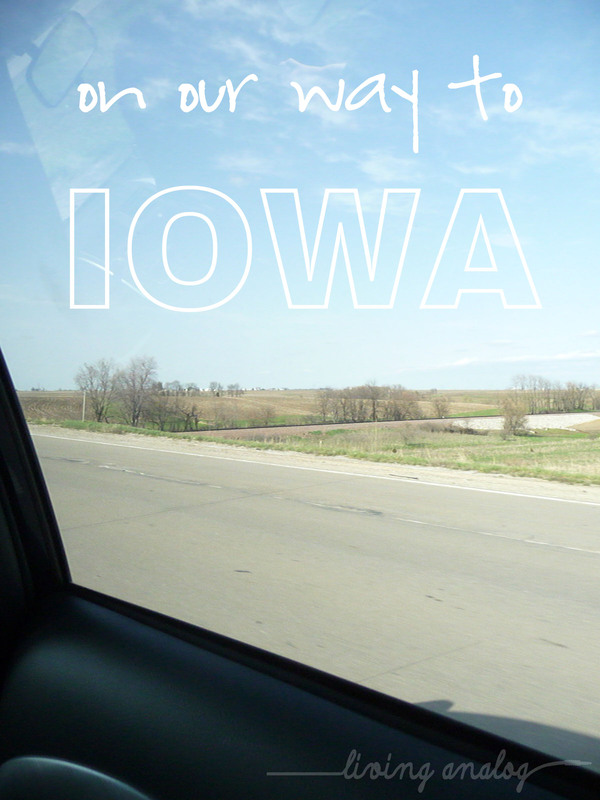 Let me take you back in time a few weeks to when things were a little less crazy — we headed up to Iowa for a bridal shower at our aunt’s house. We’ve been driving the “Avenue of the Saints” since we moved to St. Louis in 1991. Things have changed a lot since then! One time I accidentally took us to Quincy on the way because they had “improved” the highways so much. Well, they “improved” the roads I guess, but not the signage. My mom spray-painted some soup cans to match the shower theme and these made great decorations and also little take home gifts for all our family at the end of the day. She also snagged the cool green chevron napkins on the interwebs. (Yes, I think there’s a strong family resemblance! 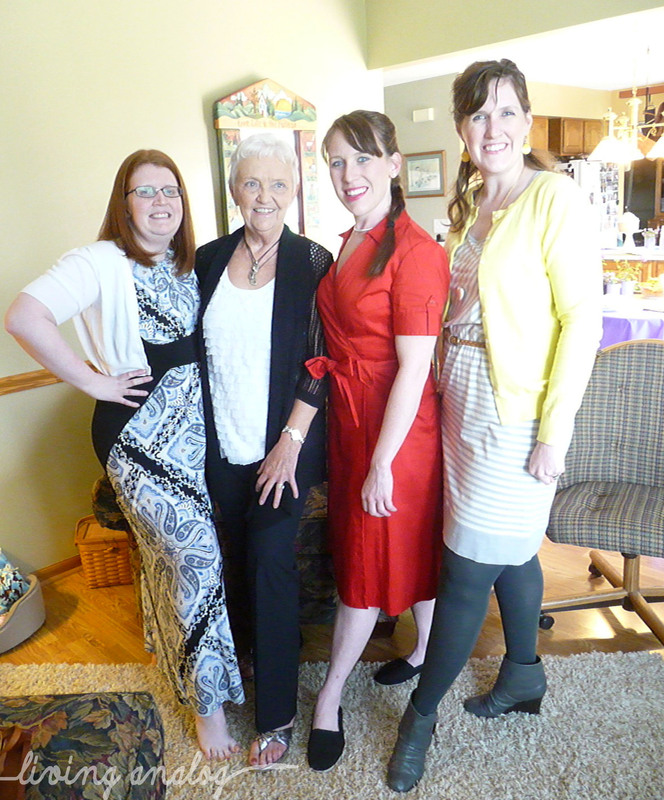 I hope I get the sophisticated white hair like my Gram someday – like someday in sixty years but you know what I mean.) We are the only “branch” of our family who live in Missouri — all our aunts, uncles and cousins are spread out from coast to coast. By percentage however, the highest concentration of our family is in the Des Moines area and it was so nice to be able to get together with all of them (both sides of the family at once!) for a nice shower. I think my sister really enjoyed it. Hey interwebs! It’s me, CT, back from a work-induced blogging hiatus. We’re in full on wedding mode here at Living Analog getting ready for my little sis to say “I Do” on June 1st. 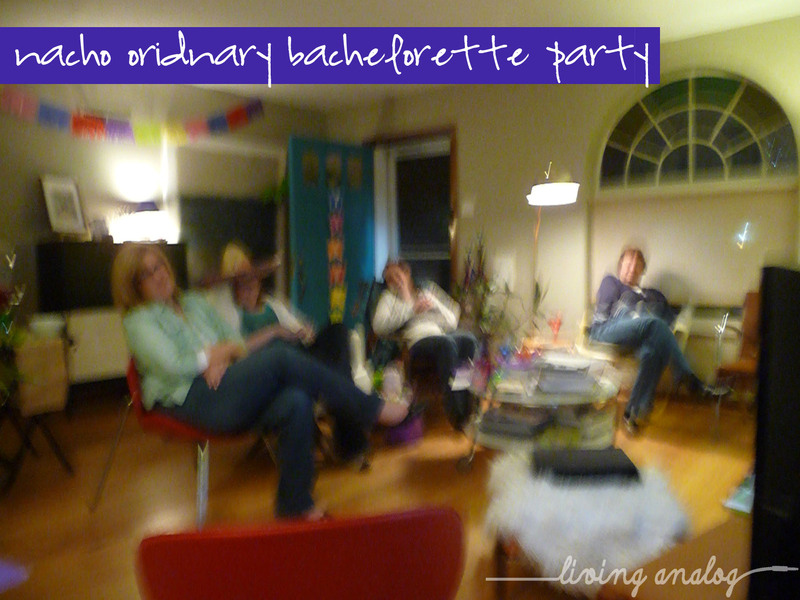 Last weekend was the bachelorette party hosted by yours truly. 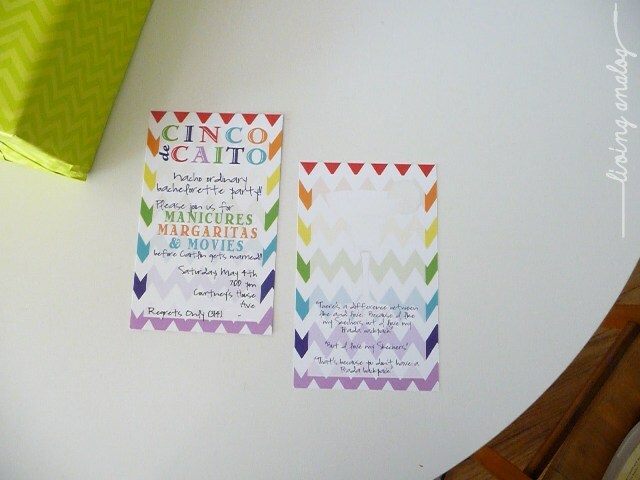 Who wants to see some day late and dollar short ideas for a Cinco de Mayo party? Here we go. I already showed you guys the invite the other day — this is the starting point for everything . . . . manicures . . .
margaritas . 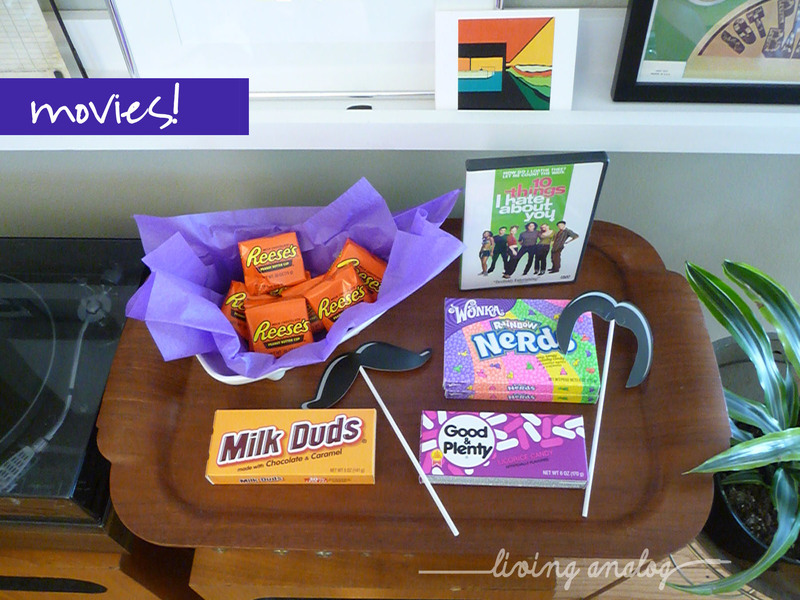 . . .
. . . and movies! 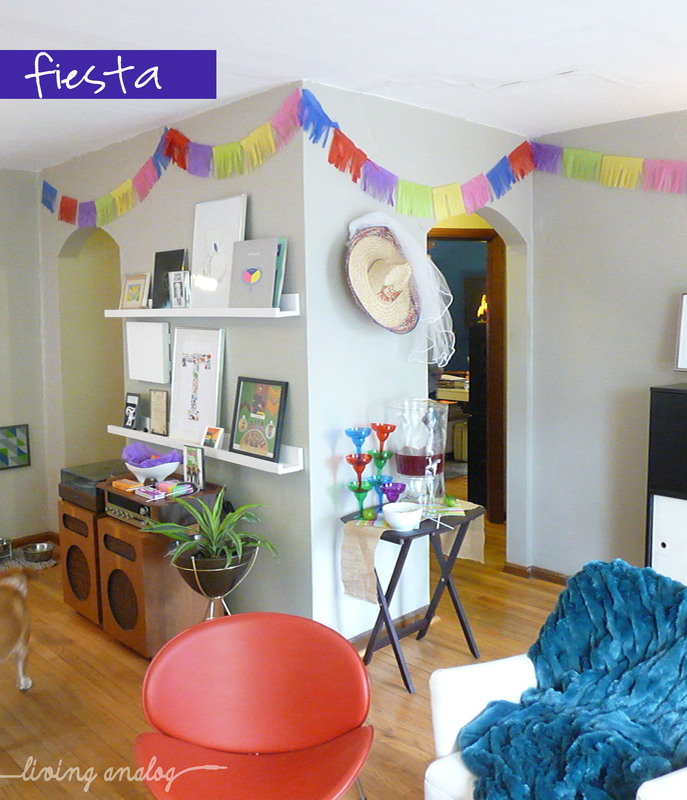 I got happy with some colored tissue paper and made a simple garland to hang around the living room and give it that festive fiesta appeal . . . It was simple to make — cut your sheets to the same size rectangles, add fringe and stitch together on the sewing machine. 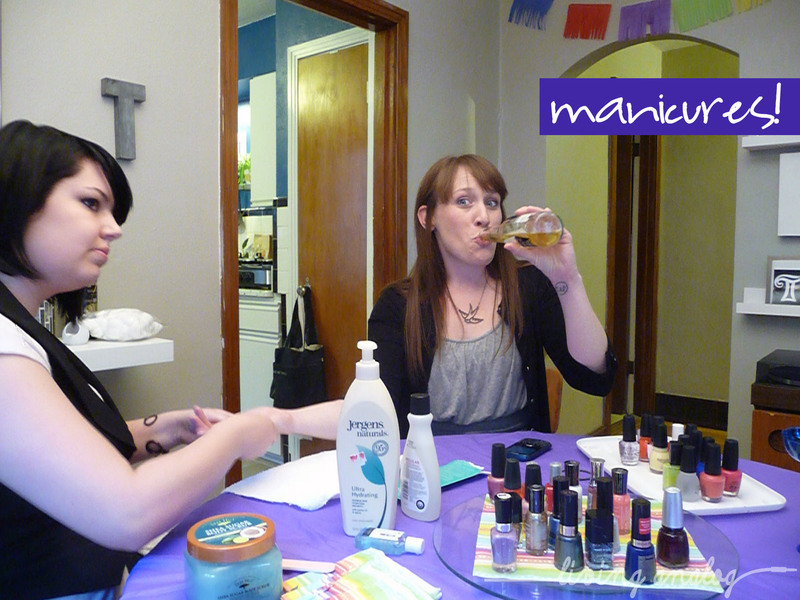 After our manicures and some test your knowledge quizzes on the bride-to-be and the movie, we settled in and watched “10 Things I Hate About You” (and then “27 Dresses” to get into the wedding mood). Last weekend my littlest sister came in town and we decided to celebrate her birthday with a retro “Mad Men”-esque themed shindig. 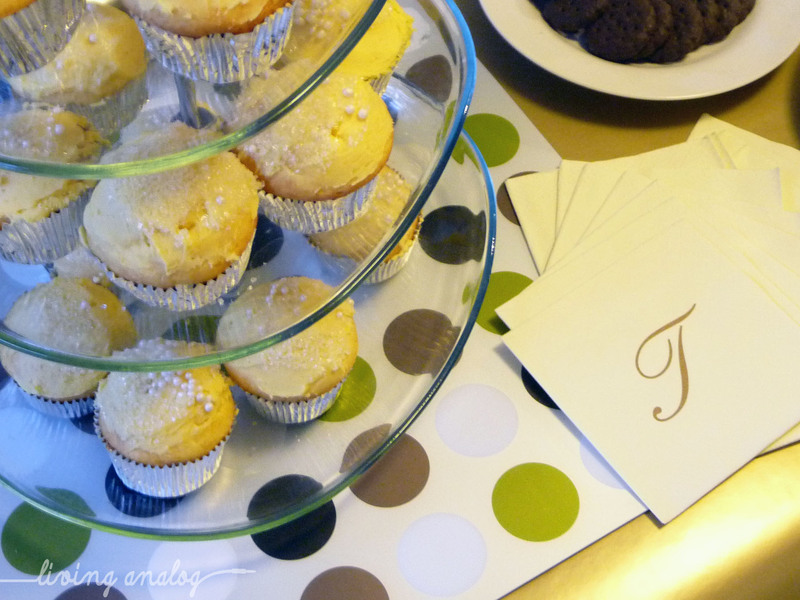 I’ve been working on entertaining more so I was excited to host. And now that I’ve got a few of these events under my belt, I’m starting to feel like my Martha abilities are getting polished and refined. So while I am in no way, shape or form a party-throwing wunderkind, I thought I’d pass on a few tips I learned the hard way. First, plan a little in advance if you can! 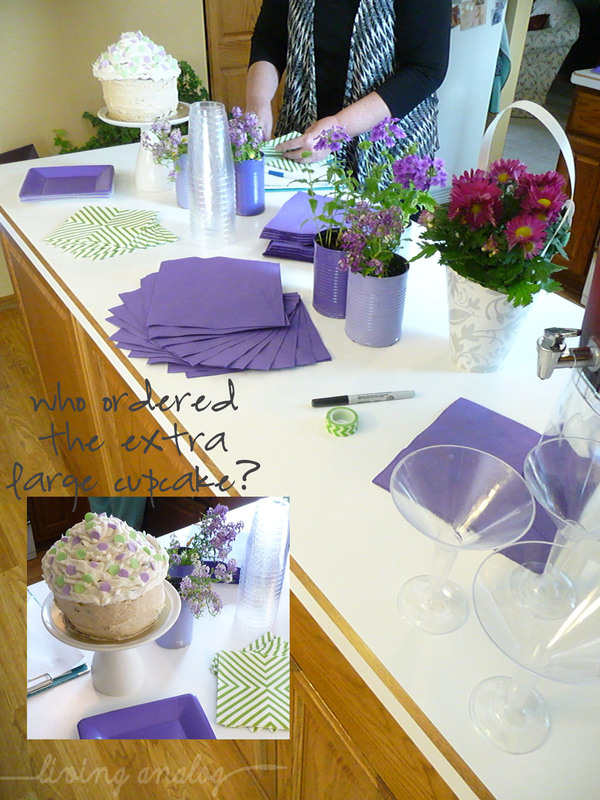 This seems like an obvious one but sometimes by planning in advance you can have a few extra touches ready to set the party off. 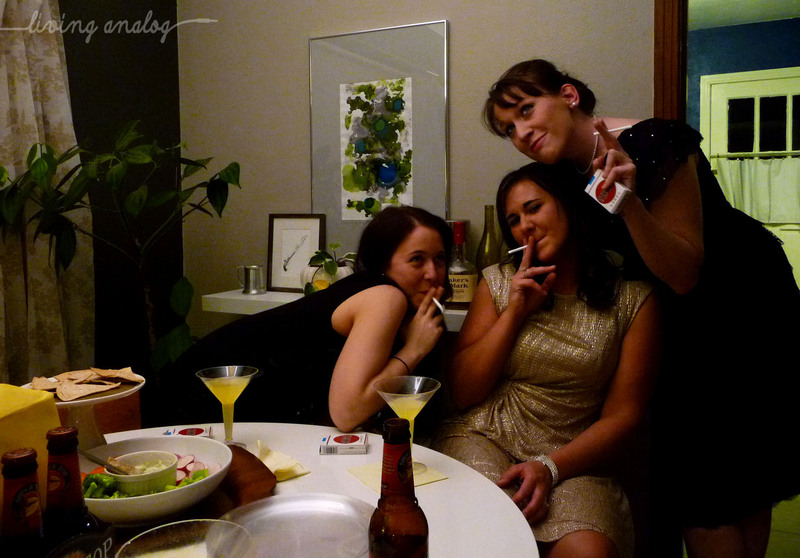 Since this party was “Mad Men” themed, two things were very important — appropriate cocktails and cigarettes. I scouted Amazon for a set of plastic martini glasses (I also saw some at Party City) and also a case/carton of candy cigarettes. That was all the non-food or beverage shopping I did but I think it gave the party a little something “extra” (and thanks to the interwebs I didn’t have to leave my living room to do it). 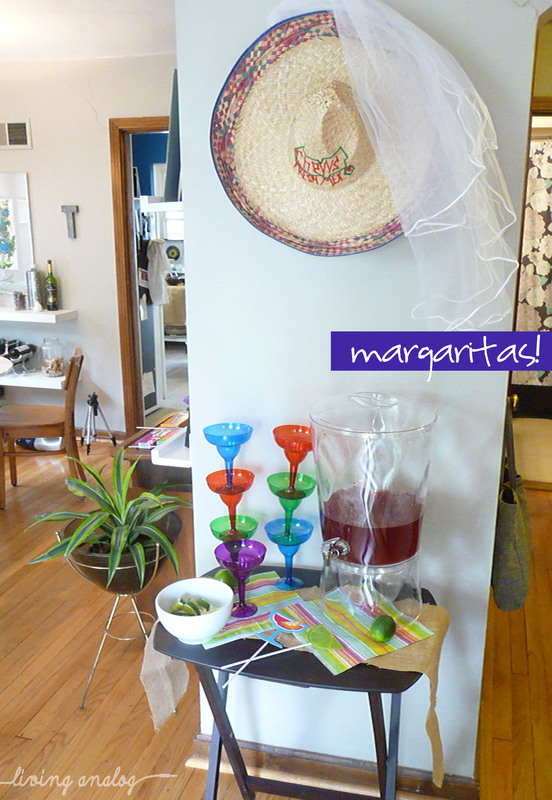 Plus having one pre-mixed drink made serving guests easy. Thanks to my mom I’m set up with a bunch of nice entertaining pieces like the large drink dispenser in the picture above. 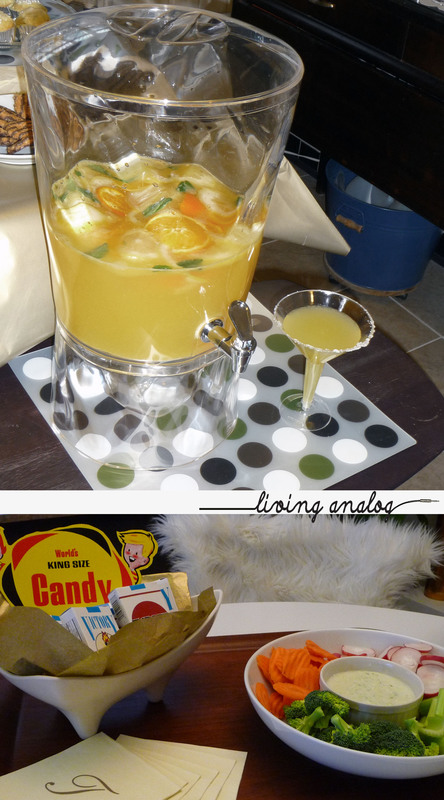 We made a lemon drop martini (recipe here, found via Pinterest) and made sure to garnish the martini glasses with a little extra sugar! Another planning tip: ask for help! If you have good friends or family coming over, ask if they can bring something! Since you are hosting the event, they’re usually happy to comply. My family really stepped up for this one — my sister made some amazing champagne cupcakes along with bringing a dip and some pizzas and my mom also stocked us up with a dip and beer for the non-martini drinkers. The morning of the party or the day before if I’m ambitious I like to set up the house. I put out all the serving pieces I’ll be using where I’ll be needing them, making sure to plan out spots for what I’ve asked guests to bring. I dipped into my wrapping paper bin and pulled out some simple gold paper to make a quick tablecloth for the kitchen work island — it made the kitchen feel a little more festive. As you guys saw for the Sweetheart Dinner, I’m not above rearranging the furniture if the party needs it. Set up the space to function and tuck other things away (our basement filled up and then emptied back out again for this one!). Now for my super secret party success tip: one or two hours before the party starts empty your dishwasher, trash and recycling. That way you have a place to go with last-minute stirring spoons, soda and alcohol bottles and all the cartons and bags that packaged party food comes in. There have been times where my dishwasher is already full when we start the party and I have nowhere to tuck some of these things out of sight. 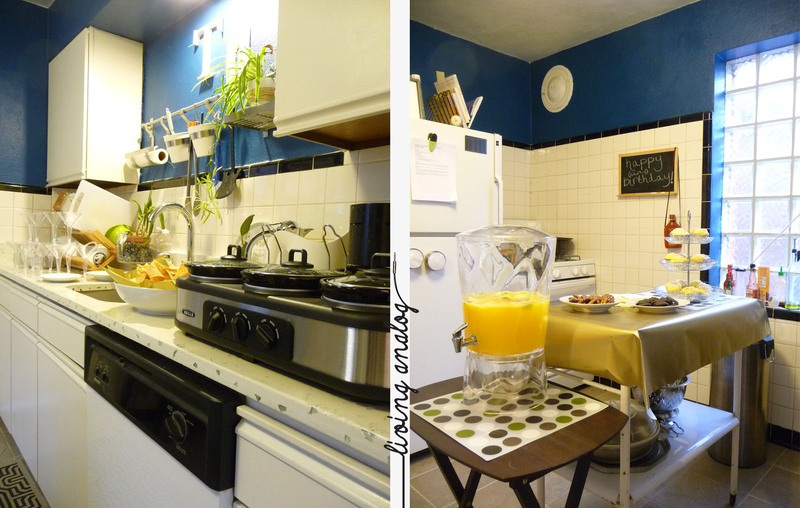 In a small kitchen like ours, it makes a big difference! 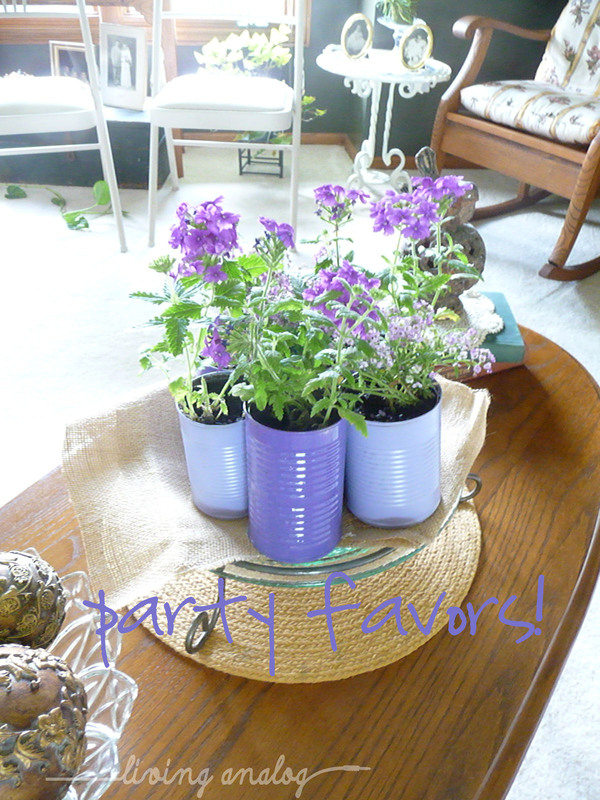 The best and last tip I can leave you with for party hosting: enjoy yourself! 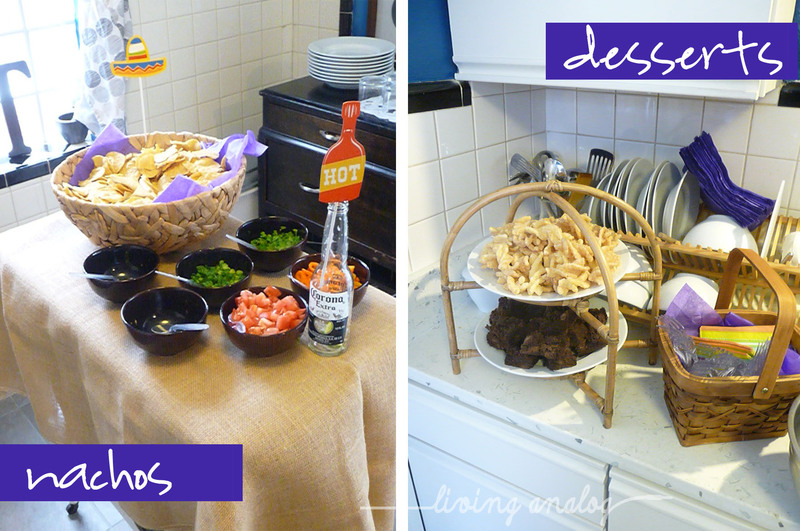 Once everything is set-up and your guests arrive make sure you get out of the kitchen and enjoy yourself! It seems like having a theme or costume party helps a little too — people get into it and let go a little more too. (Candy cigarettes, remember! 40 calories a pack too! It was a small purchase but it made the party that much more memorable — as did encouraging everyone to get out their Don and Betty Draper best party attire!) That’s my little sister, the birthday girl, on the right. Some say she could be my fraternal twin. Okay, maybe that’s just me, but who’s keeping track? It was a great time and I’m glad my sister could make the trek from Omaha so we could all hang out. Her friends were super sweet to put up with my 1960s attitude on partying (I think kids just “hang out” these days . . .) and we all had a great time. Okay, maybe I have one final party tip: once the evening’s over, I quickly tuck anything perishable into the fridge and then I GO. TO. BED. I save clean-up for the day after when I have more brain cells to do a quick and efficient sweep. 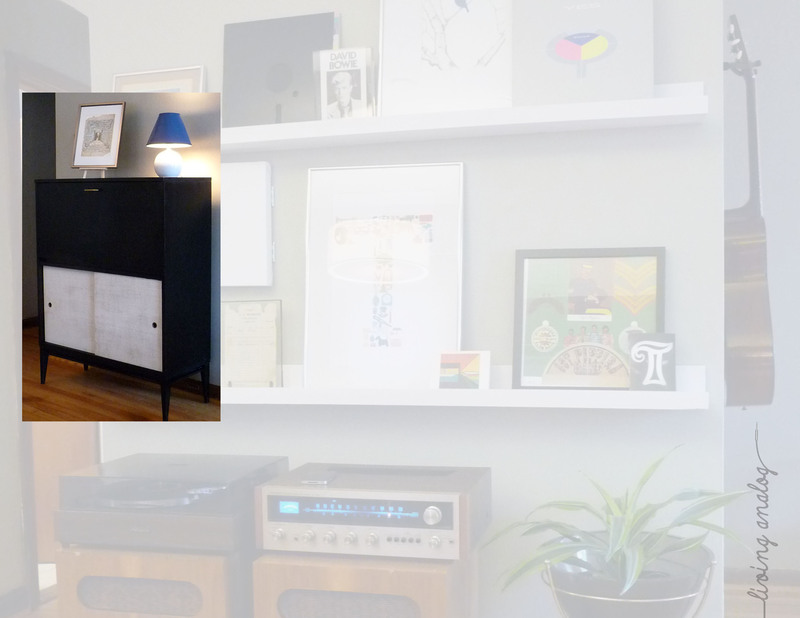 And I’ve got a quick tease for you — the party put JT and I into overdrive to finish up those Super Bowl shelves. I need to take some better pictures and show those to you guys next. The wall that Paul was on is looking a lot different!